A few months ago things seemed bright for the Nordic online consumer: on-demand streaming services were in a race to announce their coming to the Nordics with both Netflix and HBO announcing their arrival and energizing the existing providers like Viaplay to ramp up their marketing campaigns as well. 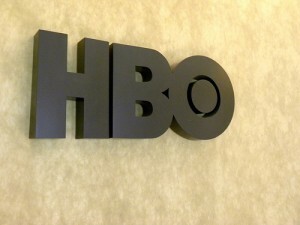 The service with clearly the highest expectations from consumers and the best value proposition was HBO: we were supposed to get all back catalog series as well as all new episodes within 24 hours of their US premiere via the internet on demand service. The promises were outstanding. Unfortunately, they were cut short and now HBO faces a difficult struggle to rebuild its brand in Finland (and from the little I have read, also in the other Nordic countries, although I am not as well-informed about them). David Weinberger has recently argued for networked knowledge and claims that books are not an ideal format for thought and that, indeed, long-form thought such as books is not wide enough for deep thinking. In this post, I will argue that much of Weinberger’s idea of networked knowledge is not particularly new and does not have the consequences he claims it to have. Pre-publication peer reviews became the dominant paradigm within the academia in the 20th century. In recent years, the system has been criticized and some attempts to correct the weaknesses of the system have been made, such as ventures into open post-publication peer review. 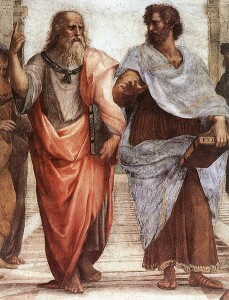 However, the scientific community at large remains relatively satisfied with the prevailing paradigm. 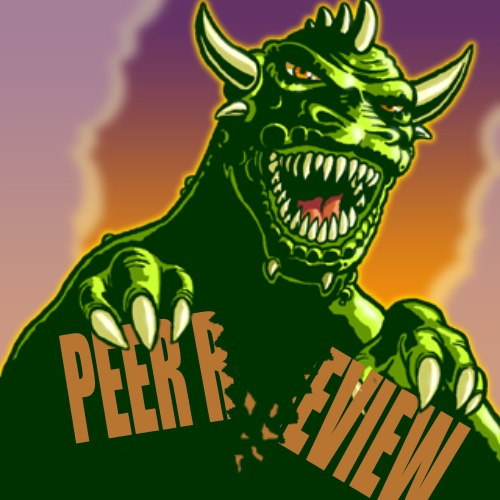 In this post, I will examine the peer review paradigm from a point of view that I have not seen used in this context before, and which points at a potential for paradigm shift. This point of view relies on a combination of three key elements: Total quality management (TQM), Lean thinking, and social collaboration. Social business is more than just conversation. If implemented properly, it can be a route to more effective operation and, by extension, higher profits. 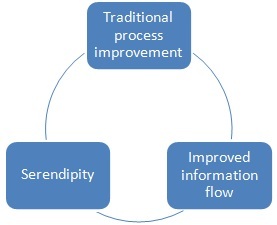 Most companies are nowadays managed through processes, and in this post I will explore the ways social business can be designed with a focus on process improvement.